In a guideline released Thursday, the country's central authorities have emphasized the need to enhance Communist Party of China (CPC) leadership in various cultural organizations. As reported by the Xinhua News Agency, the document highlighted that, generally, the cultural organization development lacks vitality and shows weak CPC leadership or internal management. 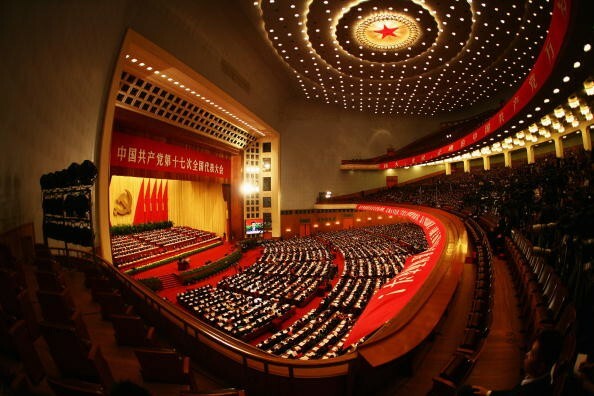 "CPC leadership should be enhanced in political, ideological and organization aspects," the guideline stated, addressing that innovations should be made in order to raise efficiency. The recently published paper also outlined that the CPC should take the lead over the organizations' management system and that the Chinese government should supervise. It added that a clear structure and efficient services are needed to provide better services to cultural workers and institutions. In China, cultural organizations hold the responsibility of delivering messages from the CPC and the government. They are also mandated to implement the bodies' decisions. The guideline emphasized that these organizations can take part in making regulations, creating standards and criteria for different Chinese industries, evaluating talent and providing consulting services. Authorities have also called on cultural groups, saying that they should also promote entrepreneurship among the Chinese. This is apart from their task of helping transform the local cultural industry by holding more trainings, expositions, seminars and other related activities. Besides enhancing CPC leadership, the document also noted that "self-discipline and credibility should be promoted among cultural organizations." These institutions are also banned from cooperating with overseas entities that might put national security and interest at risk. The guideline further prohibited Party leaders and cadres from holding posts in cultural organizations before their retirement. They are also not allowed to create their own cultural groups without securing the required approval. The document was issued by the general offices of the State Council and the Party's Central Committee.